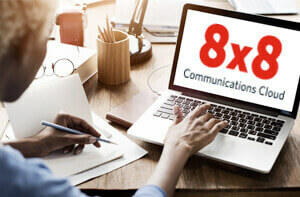 Fix Auto Delivers Great Service with 8x8 Business VoIP | 8x8, Inc. When incoming call volume became too great for staff to answer live ​at Fix Auto shops, franchisee Mary Oliver did not want customers to have to leave voicemail. By implementing an 8x8 business VoIP phone system, the busy repair shop now keeps customers happy and the business healthy. Fix Auto is a network of 54 auto body shops, all maintaining the same standards of quality, ethics and performance. 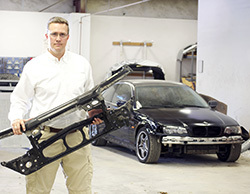 In 2011, Mary Oliver and her business partner converted two independent body shops into Fix Auto franchises operating in San Jose and Gilroy, California. Although the San Jose and Gilroy shops are part of a national chain, they still maintain a family atmosphere, especially when dealing with customers. In addition to offering the convenience of one-stop shopping for vehicle repair, they simplify the claims process so that customers can get back on the road as quickly as possible. The company’s commitment to quality and customer service is reflected in its outstanding customer service index (CSI) scores and Yelp reviews. When Oliver joined Fix Auto in 2011, the business had been using a standard AT&T landline telephone system for many years. Not only was the technology old, so was the building’s copper wire infrastructure. That combination resulted in static on the line, dropped calls, and poor voice quality. “The lines to our building were underground and more than 25 years old,” explains Oliver. Oliver and her partner realized they needed to replace their outdated phone system, but neither had the technical expertise to select a new one. They asked a friend and fellow small business owner for his recommendation. He gave them just one name: 8x8. Oliver ordered new phones and within two weeks Fix Auto had its 8x8 business VoIP phone service up and running in both locations. With Fix Auto’s San Jose and Gilroy locations on the same 8x8 phone system, call coverage is no longer a problem. Using a simultaneous ring group, Fix Auto redirects unanswered calls from Gilroy to San Jose after two rings. Customers can talk to the receptionist or a staff member at the San Jose office, completely unaware that their call was transferred from Gilroy. 8x8’s call transfer capability is also a much welcome improvement for Fix Auto. The company’s receptionist can easily transfer calls to any extension at either location, or to a user’s cell phone without giving out their personal number. Transfers are “warm,” which means the receptionist can talk with the party she is transferring to, make sure that person is available, pass along the caller’s name, and summarize the purpose of the call before transferring. As a repair shop, Fix Auto frequently partners with insurance companies who send “assignments” detailing which part of the vehicle is covered for repairs from the current claim. Some insurance companies still use a fax machine to transmit assignments. Similarly, some of the company’s auto parts vendors still prefer to receive a fax for parts orders and confirmations. Unwanted calls from telemarketers, on the other hand, are easily blocked on the 8x8 business VoIP system, a feature Oliver loves. Oliver also likes the built-in business continuity of 8x8’s transfer capability. If Fix Auto loses power or Internet connectivity, incoming calls are automatically transferred to Oliver’s cell phone and business goes on as usual. Fix Auto’s receptionist does occasionally send calls to voicemail when the caller wants to leave a message for someone who’s not available. When that happens, the recipient gets an email notification with a sound file attached so they can listen to the message right away. It also enabled Oliver to correct her franchise’s CSI score when Fix Auto unexpectedly got low marks in a customer satisfaction survey conducted by a third party. Oliver reached out to the customer and received a callback that went to voicemail. In her message the customer assured Oliver that Fix Auto’s service had been excellent. It turned out that the low score was caused by a bad connection during the third party’s telephone survey. Oliver emailed the customer’s voice message to Fix Auto’s corporate headquarters so they could follow up with the survey provider and adjust her franchise’s CSI score. Recently Oliver’s franchise received a Fix Auto Vision Award for their efforts in promoting the chain’s brand. According to Oliver, an important part of being a visionary is looking at where Fix Auto wants to go as a company. 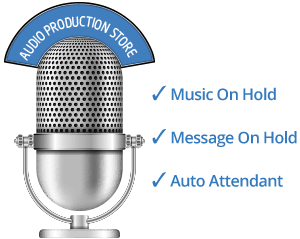 Get professionally-recorded greetings and auto attendant menus! Learn from 8x8 experts and industry leaders how global cloud solutions from 8x8 can help your business and improve your customer service, all while saving you money and time. 8x8 UK Limited (trading as 8x8) is registered in England and Wales. 8x8, Oxford House, Bell Business Park, Aylesbury, Buckinghamshire, HP19 8JR.